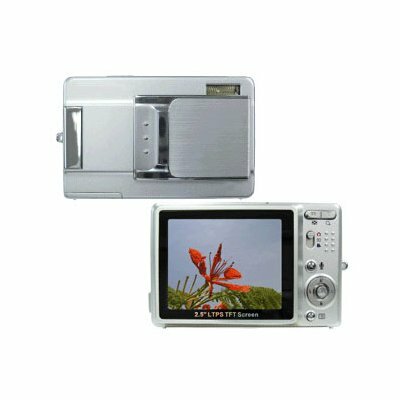 Successfully Added Digital Camera, 12M Pixel, 32MB Int.Mem., 2.5-inch LCD to your Shopping Cart. Image Sensor: 5.1M Pixels/12M Pixels(interpolation). Digital Zoom: 8X. Storage Media Built-in 32M Memory. SD/MMC Card Slot Support. Shutter Speed: 1/4 sec. ~ 1/1000 sec.